Join us as we kick off Year II of IBA Intersections, in partnership with PHLDiversity. 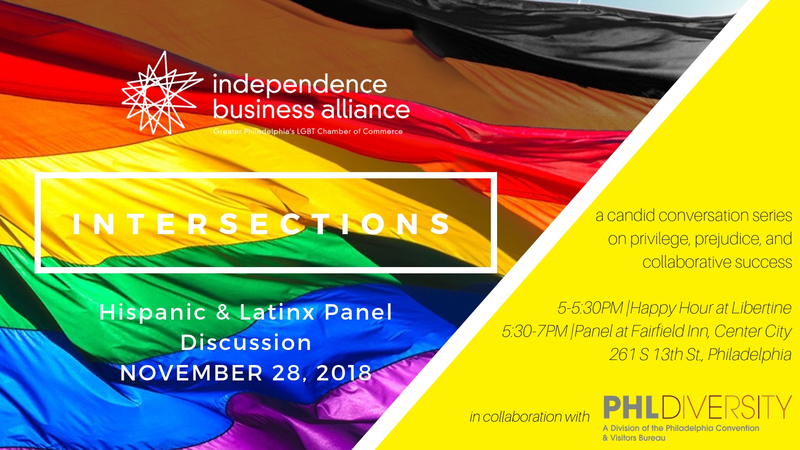 The first in our series of panel discussions, this event will focus on a frank exploration of privilege, prejudice, and collaborative success amongst the LGBTQ, Hispanic, and Latinx communities. You won't want to miss this honest dialogue amongst community and business leaders. *Both located at 261 S 13th St, Philadelphia, PA 19107.